A Satisfied Customer is NOT always a Loyal Customer! For many decades the goal has been satisfied customers. While satisfaction is important, it is not sufficient to guarantee that your customers will continue to buy from you. The world changes quickly and the minute you get complacent, BANG, a new competitor surfaces with a solution they claim is better, faster or cheaper. Suddenly your customer no longer needs you. We all know it costs a whole lot more to acquire a new customer than to maintain an existing customer. Existing customers play an even greater role in our ever‐changing global economy – we must keep them and grow them. We know that there are actions we can take and behaviors we can measure that create long term relationships between sellers and buyers. 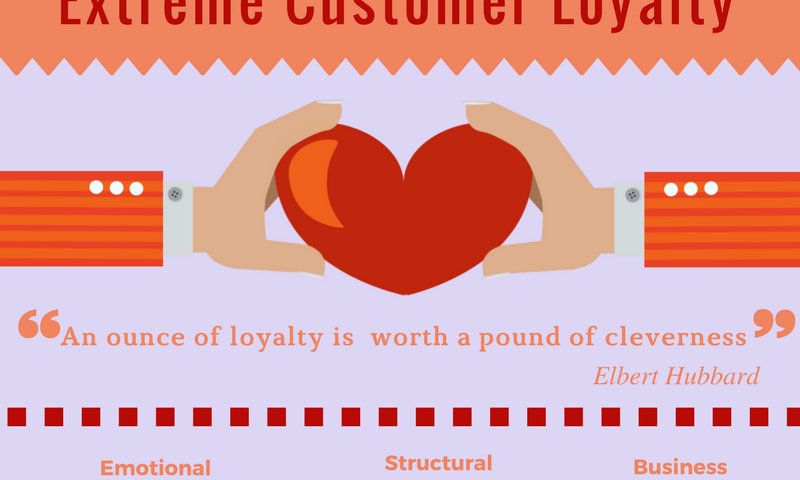 So, what really drives customer loyalty? Josiah Royce, an American philosopher in the mid‐to‐late 1800’s, claimed that the trait of loyalty was most often associated with political institutions, religion, war, and family. In these situations, people had one key influence in common – a passionate link to a “common cause.” We believe that you build loyalty when you and your customers are aligned on seven key factors.